Wow. Today it’s supposed to be 69 degrees here! I’m so excited I could stand on my head and do cool 80’s headspins! It’s been so cold and rainy/snowy here this month. So weirdo to get snow in late March, but I have to admit it was very, very pretty. In fact, we drove down to Blacksburg where Morgan is in school (Go Hokies!) to celebrate his 19th birthday. It started snowing while we were eating lunch and we had such a pretty drive home. Thankfully the roads were fine, and we could enjoy the scenery! Blacksburg actually got DUMPED on, but we didn’t get any at all. LOL. 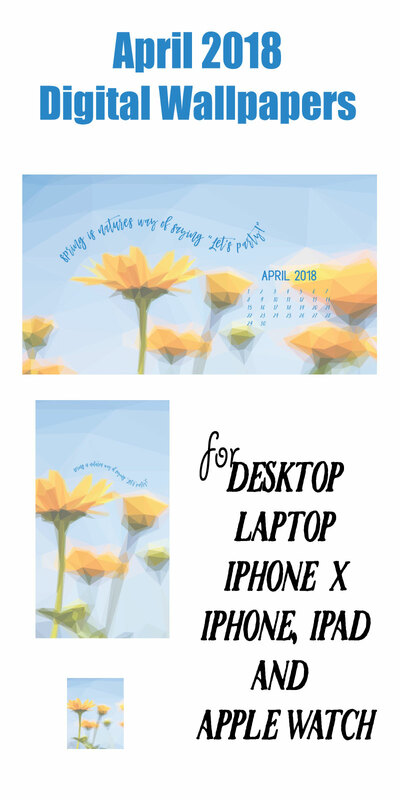 Last month when I shared the sunflower digital wallpapers, I asked in my newsletter what flower I should do for April. The very first response I got was daffodil. I LOVE daffodils, so that’s what I chose for our April Digital Wallpapers! 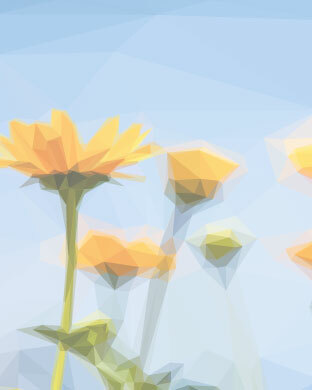 Download the Geometric Daffodil Wallpapers by clicking on the links below! Click a link below and the image will open in a new window. Then, right click on the image and choose Save Image As. 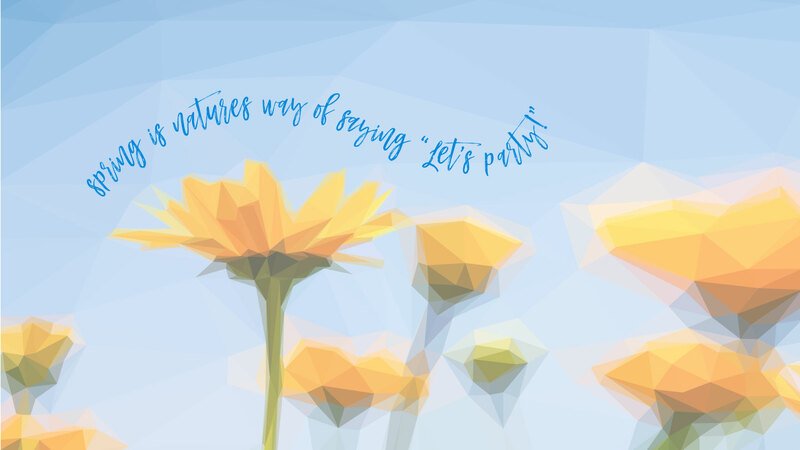 I hope these bright and cheery wallpapers help make your April the breath of fresh air we all need! I’m so thankful for spring every year. It’s totally my favorite season. I’ve started some sunflowers and they are sitting in the windowsill loving the sun. I can’t wait to plant them! 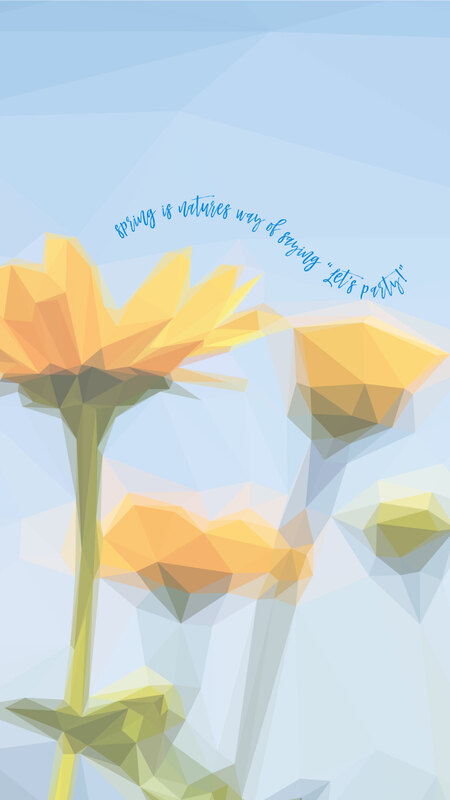 Are you busy getting flowers ready? Let me know down in the comments below! P.S. 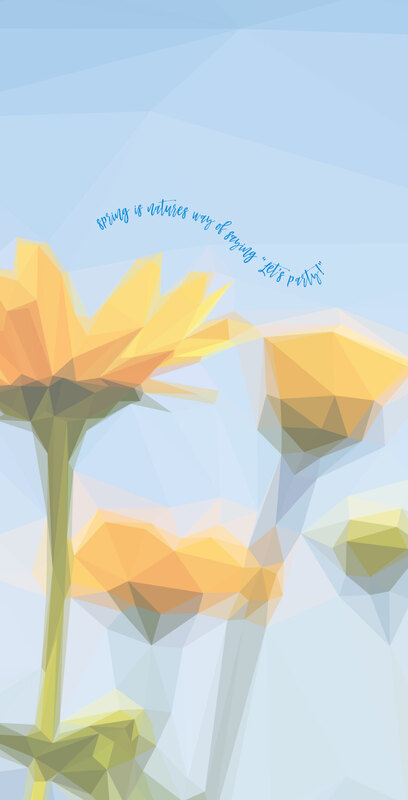 I found the awesome geometric daffodils over at Adobe Stock. It’s a vector image you can use with Adobe Illustrator! Get your How awesome is that? P.P.S. Fonts, you ask? Mustache Brush Script. Grab all three Mustache fonts here!